The Rocky Mount City Council vote on involuntary/forced annexation at the council meeting on Jan. 11 was predictable and expected. What do you think about this? Please leave a comment. ARE RAVING ABOUT, AND OUR YOUNG PEOPLE NEED TO SEE! 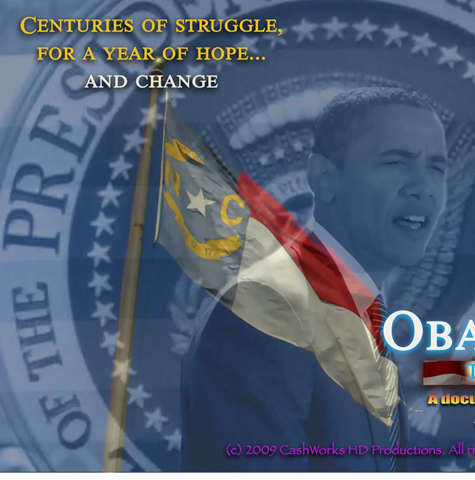 Go to www.obamainnc.com NOW for more! Note: Unable to get the whole picture here so to see the entire picture please send an email to The DCN. Around 10:30 the evening of January 23, 2010, a Winterville Police Officer rang the door bell. There were two police cars with all lights flashing surrounding the rear of my drive way. Upon answering the door, I was asked if the black Mercedes (my son’s car) parked in my drive way belong to me. He stated he received a complaint from a neighbor about a suspicious vehicle in a yard. There was no loud music or criminal activities taking place in my son’s car. Also, a concealed weapon was founded on my son (while he sat in his car) and was confiscated. An unoccupied house (three to four months), sit two doors down, had a vehicle in it yard (front end facing the street) with no one in the car, no lights from the house, and no movement. Not once did the officer(s) approach that house or investigate the vehicle parked in its drive way. Upon coming into the house, my son explained that the police officer sat near his vehicle for a long period of time (twenty minutes), before he put on the blue lights. I explained to him that the officer was waiting for back up before approaching the (alleged crime) scene. He went on to say the officer asked him did he live here and his response was yes. The policeman asked him to step out of the vehicle and he was frisked (searched) and a weapon was founded and confiscated. He was never asked why he was sitting in the car (with his friends) but was told of a suspicious vehicle in the neighborhood was called in. I have a degree in criminal justice, and one thing that was taught is the first thing an officer does, upon arriving at a scene (involving vehicles), is to verify the license tags. Having a weapon in your possession on private property does not constitute concealed weapon. To frisk or search an individual requires a probable cause. We have lived in this neighborhood for nine months with the same vehicles. My son often sits in his car and listens to his music. Never had anyone complained or call the local law enforcement about a suspicious vehicle. Where in the constitution does it state that a teenager cannot sit in his car (while it’s parked in his yard)? 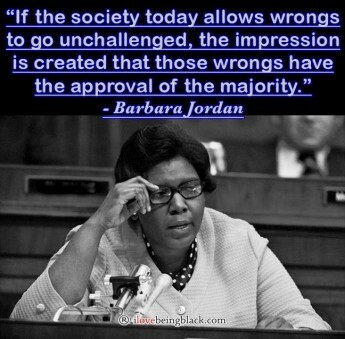 I do think racial profiling is unconstitutional. Many of nights there have been young teenagers parked in the parking lot of Food Lion (Winterville) and no blue lights or police officers on the scene. Is it because they are young, innocent, and not suspicious vehicles? My son and his friends were asked for their names, addresses and telephone numbers. Again, this is all for sitting in the drive way of our home. They deserve an apology and their names, addresses, and telephone numbers should be discarded. Not that I trust or many other trust the police officer to be trustworthy due to racial profiling. Is this the reason why young teenagers do not respect men in blue? As a member of a local city board I’m embarrass to say I live in Winterville. Talking about the issue of crime was not the issue for me but the way you talked about handling it is just ignant as heck. I work in Rocky Mount and I have family and friends whom live there. I am the voice for those whom have given me the go ahead to speak for them. However I speak to issues that I feel are worthy of addressing and I do not need permission from anyone to do so. Why? Because I am my brother’s keeper even those whom may have a problem with me speaking out for whatever reason. I do it simply because it is my moral obligation and also because of the mission of the NAACP where I am a Fully Life Paid Member. I am not a mall person however I went to the mall about 2 weeks ago and my family spent about 2 hours there. I sat in the car time but did go in to use the bathroom. I didn’t see anything going on nor did I hear my family say they experienced anything while they were on the inside. I seen a car club drive through the parking lot and they didn’t stay. The club consisted of not only black but others from the best I could see. They were not doing anything out of the ordinary. The most recent incident at the mall was not a random shooting and if I am correct the suspect/s and victim/s knew each other. I say the mall thingy would be a major issue if the crimes committed were at random and until then I say going to the mall is no more unsafe than going other places. But again I am not a mall person. I was told that there were officers and/or security in the mall when the shooting occurred so obviously the shooter didn’t care who was around. I was told that is why they were able to catch them so quickly because they were in the mall. I agree there is a problem when robbers break into folks home however the neighbors will be the only ones to help solve those crimes. The police department can not sit in front of everyone’s house trying to prevent crimes. So how is this the chief’s fault? A 14 year old boy being shot is an issue however a 14 year old should not be out and about so how in the heck is that the chief’s fault? So Mr. Betts what can the police department do differently? I have not seen any solutions but the bat thingy which you stated that may not be all legal as you stated. I feel strongly that most folks black and white took issue with the bat thingy and the not all a legal comments. So don’t try to twist it and make it appear that black and white folks do not want to put a handle on crime. To promote illegal activity within the police department is no damn different from the crime that is taking place. For me and many folks that I know black and white, we have been concerned about crime long before the 14 year old was shot. Betts you say, "By not speaking out sooner, I’ve got his blood on my hands, and it ain’t fair to him to just wash it off. While some may think my comments were “insensitive,” “impolite,” or “inappropriate,” I say, go tell that to the little boy’s mother." Well sir I don’t have any blood on my hands. You damn right your comments were insensitive, impolite and inappropriate to suggest that the police department begin to use baseball bats to combat crime. You damn right I will tell the 14 year old mom and anyone else. As a community activist and have been actively engaged in politics since the early 90’s be it as a member of Common Ground lead by now Councilwoman Chris Miller, attending the Rocky Mount City Council meetings before the black majority, the Edgecombe County Democratic Party, Rocky Mount NAACP, other community organizations and I have worked in Rocky Mount for the past 23 years, I am much aware of what is going on in Rocky Mount. I am probably more abreast of the issues than over 50% of the people whom actually live there. I find your comments comparing a coach to a police chief to be somewhat ignant. You say, "When the team has a losing record, the first thing you do is fire the coach and get another one. The next thing that you do is support the new coach." Since you are so bent on firing the chief and that will be the answer, why haven’t you told us what justifies his firing? You know for yourself that you can’t just fire someone without just cause because of the risk of a possible lawsuit. I feel comfortable saying that if the city had just cause to get rid of the chief just for the sake of change, they probably would but I don’t think that is an option right now. Mr. Betts I think everyone feel passionately about the crime however a bunch of ignant conversation is not the answer. Talking about the fact of certain crimes that have taken place is all well and fine however your ignant conversation about firing the chief when you have not stated why does not help the solving crime. Hell if it was not for the ignant conversations going on, the chief may would retire since I understand he is eligible to do so. It’s snowing in Rocky Mount! Please use caution when enjoying the winter weather. The National Weather Service has issued a winter storm watch for our area this weekend. Click here for details. The following city programs and facilities are CLOSED today: Tar River Transit, the Imperial Centre (including the Children’s Musem & the Arts Center), the Senior Center, Booker T. Washington Community Center, and South Rocky Mount Community Center. While no power outages have been reported yet, electric crews are monitoring the weather situation very closely. Our service area may experience power outages before this weather event is over. Stay clear of fallen power lines, and report any fallen power lines to Rocky Mount Public Utilities, at 467-4800. This is also the number for reporting power outages. This number has changed in the past year. Please make a note of it. Public Works Crews are currently reapplying sand to bridges and intersections and to access roads for medical facilities and fire stations. Please avoid driving, especially on back roads and bridges, when at all possible. When you must drive, please see the tips below. Stay on roads that are more heavily traveled. When accumulation of snow requires plowing, the City asks you to park your car in your driveway and NOT on the street to allow crews access to your street. If you are concerned about getting out of your driveway, park your car at the end of the driveway instead of in the street. The Rocky Mount Fire Department reminds all residents to keep on hand an emergency supply kit, which should include a flash light, batteries, and a battery powered radio. Always keep nonperishable food, bottled water, and a first aid kit in your home for emergencies. In extreme weather, please check on and assist elderly neighbors or persons with disabilities. Snow and ice can be dangerous for children. Keep a watchful eye on kids playing outdoors. Parents, consider these talking points for conversations with your teen drivers!! Please allow yourself extra time to reach your destination. Make sure your car is prepared and that you know how to handle road conditions. Bring a cell phone, flashlight, blanket, first aid kit, ice scraper and other items you may need if you become stranded. Drive slowly and increase your following distance. Keep your headlights on, and stay in one lane as much as possible. Reduce distractions in your car and give your full attention to driving. Use your defroster and wipers, and keep your windows and mirrors clear. Stay alert and keep looking as far ahead as possible. Do not stop in the flow of traffic because that could create a chain-reaction collision. Do not pass a slowly-moving vehicle. Always wear your seat belt and never drink alcohol and drive. Be patient. When sleet, freezing rain or snow start to fall, remember that bridges, ramps, and overpasses are likely to freeze first. Also be aware that slippery spots may remain after road crews have cleared the highways. If you are involved in an accident, remain calm and contact your area law enforcement. The RMPD’s non-emergency number is 972-1411. 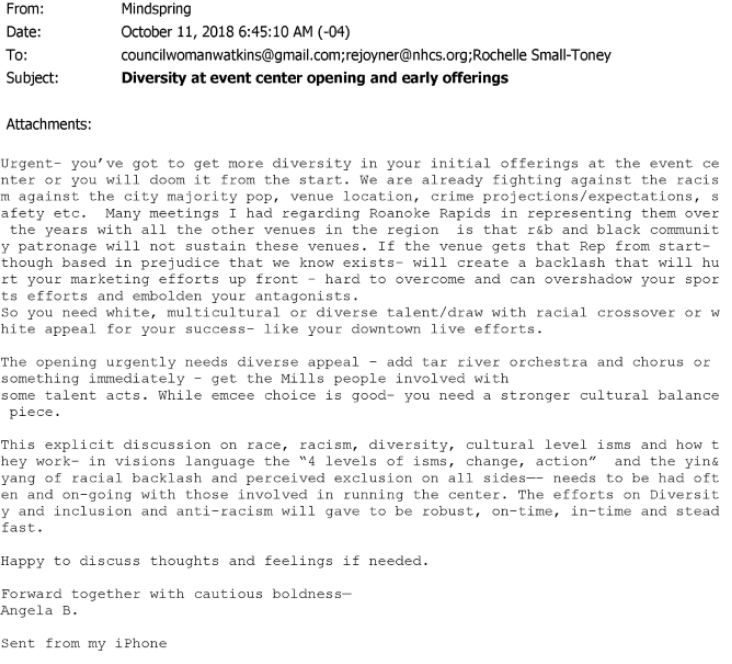 This email was sent to cdancyii@embarqmail.com by citybeat@rockymountnc.gov.